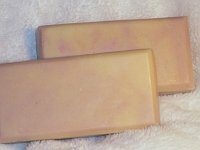 Wildflower Fields Goat Milk Soap is a beautiful pink and cream swirled bar with the aroma of mixed fresh and dried flowers--just like a florist shop! This intoxicating scent with creamy lather is one of our best-sellers, and definitely one of my favorites. It's like bathing with a floral bouquet! Ingredients: goat milk, olive oil, palm oil, coconut oil, sodium hydroxide (lye), castor oil, shea butter, avocado oil, fragrance, sucrose, sea salt, ultramarine pink, titanium dioxide. Net weight 3.5 oz.